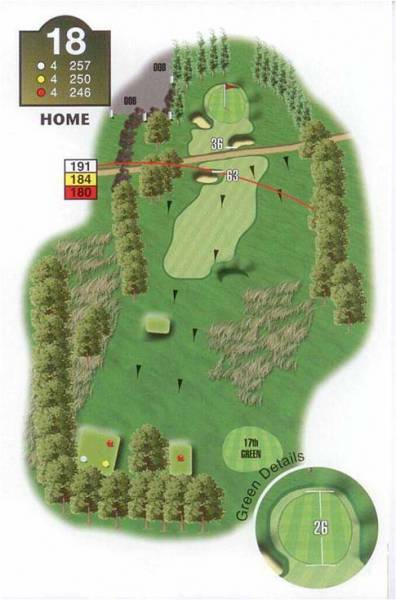 "This is not the most difficult of finishing holes but it does possess a 'sting in the tail' for the injudicious player. Crosswinds can easily be forgotten as you strike from the shelter of the low lying tree. Out of bounds on both sides and a hideously difficult bunker can easily wreck a player's score. "Overcome these and you are positioned to challenge the hole with a second shot. A friendly green awaits with a gentle reminder of subtle slopes as you complete your mission around this uniquely challenging golf course."